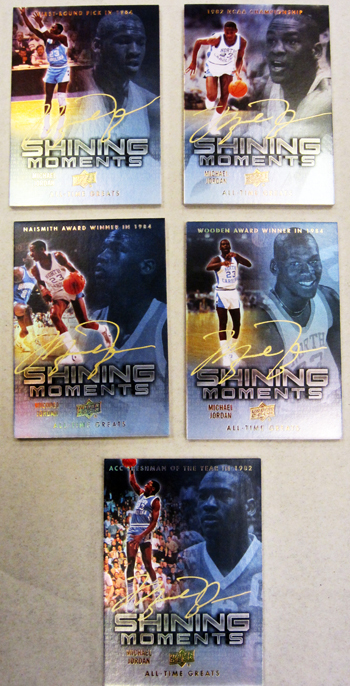 We recently had a signing session with Michael Jordan where he signed trading cards for upcoming releases of 2012 Goodwin Champions, 2011-12 Fleer Retro Basketball and Upper Deck’s 2012 All-Time Greats Sports Edition. Take a look at a selection of some of his amazing autographed cards that you can find in the All-Time Greats set when it releases this fall. AMAZING!!!! I love these cards!!!!!!!!!! Wow, just wow. On-card FTW. UD graphic designers > everybody. WOW! I still don’t have a Jordan for my collection and buying it off the secondary market just isn’t the same. 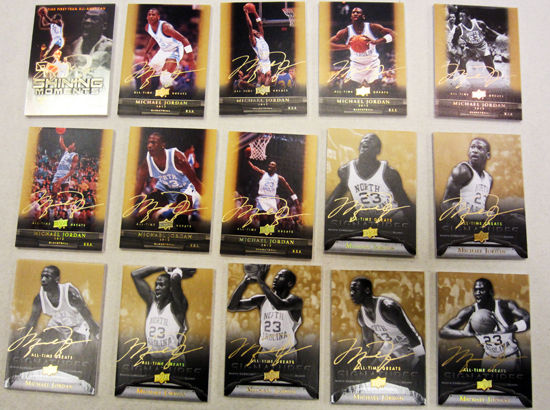 Maybe I can score one of these gold-inked beauties! Unique autograph of His Airness!!! !